Provide quality education in various languages (Arabic, English, & French) using appropriate approaches and strategies. 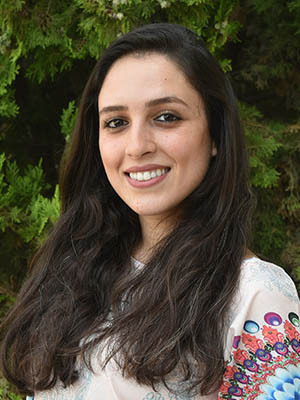 Samar Sahyoun is an Assistant Director and Special Educator who does consultancy at schools, assessments at the center, trains educators and counsels parents. Samar holds a Bachelor’s Degree in English and a Teaching Diploma in special education. Samar enjoys swimming, writing poetry and singing. Siham Fakhreddin is the head of division for Special Education at BBS where she supervises the SMART Program. Siham holds a Master’s degree in special education from LAU. She is also trained in Visualizing and Verbalizing program for Reading comprehension and critical thinking. Siham enjoys reading articles to update herself with the most recent learning and teaching approaches. Mireille Abi Khalil is a Project Coordinator who works on psychosocial support projects with displaced children and on inclusive education projects in public schools. Mireille holds a Master’s Degree in Special Education from AKU. Mireille holds diplomas in project management, teaching adult learners and consultancy for change. Mireille enjoys traveling, hiking and photography. Jenny Safi is a Special Education coordinator who adapts the curriculum so that it suits children with learning difficulties. Jenny holds a Teaching Diploma in Special Education from USJ. She is currently pursuing her masters degree in Special Education. Jenny has attended the training of trainee workshop at the center for educational research and development. Jenny enjoys cooking and swimming. Jennifer Noun is a Special Education Coordinator who closely collaborates with the head of departments at one of SKILD’s partner schools. Jennifer holds a Bachelor Degree in Psychology from the Lebanese University and a Bachelor Degree in Special education from AKU. Jennifer is currently pursuing her Master’s degree in Psychology and Psychosomatic at the Lebanese University. Jennifer enjoys cooking and reading. Zeina Farhat is an Administrative Assistant who supports SKILD’s operational activities. Zeina holds a Bachelor Degree in history from the Lebanese university. Zeina enjoys reading and sports . Betty Maamari is an administrative assistant who works directly on SKILD’s parent to parent support. Betty enjoys reading and exercising. Jocelyne Bou Nader is an Administrative Assistant who supports SKILD’s operational activities. She is currently pursuing a Degree in theology at USJ. Jocelyne enjoys music and crafts. Dr. Hana Azar was the first children psychiatrist in Lebanon. She graduated with a psychiatry degree from France in 1994. Ever since she has occupied remarkable positions in reputable hospitals in the country. Dr. Azar is on SKILD team on a part-time basis since 2011. Heidi Wheeler is a Clinical Psychologist who is the head of the assessment department, which includes supervising the clinical and educational psychologists. She also offers psychotherapy to children, adolescents, and adults. Heidi holds a Ph.D. in Psychology from Azusa Pacific University. Heidi enjoys Reading, traveling and cooking. Samar Khoury is an Educational Psychologist who does psychoeducational assessments and psychotherapy for children and adolescents. Samar holds a Master’s degree in Educational Psychology. Samar enjoys dancing and playing the piano. Christiane Chiha is a Psychotherapist who is Specialized in psycho-emotional testing for children, adults and Parental guidance. Christiane holds a Master’s Degree in clinical psychology. Christiane enjoys reading and jogging. Grace Kharrat is an Educational Psychologist who does counseling sessions and recommendation meetings with parents and educators. Grace has a Master’s Degree in Educational Psychology from the Lebanese University. Hana Schoucair is an Educational Psychologist who is part of the team in charge of the French global assessment process. Hana holds a Master’s Degree in Educational Psychology from USJ. She is experienced in school counseling. Stephanie Srour is a Clinical Psychologist who does psychoeducational assessments and psychotherapy for children and adolescents. Stephanie also provides psychosocial interventions for displaced learners and trains educators at schools to raise awareness about learning difficulties. Stephanie holds a Master’s Degree in Clinical Psychology from AUB. Stephanie completed a two-year clinical training program at AUBMC specialized in adolescent and child psychology. Lea Darido is a Psychologist who provides psychosocial support. 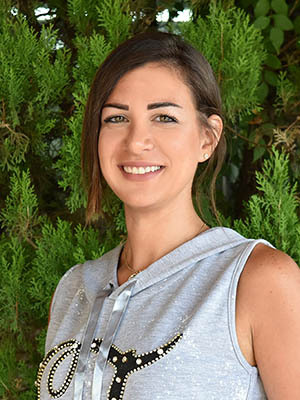 Lea is currently pursuing her Master’s Degree in Clinical Psychology from the Lebanese University. Rudy Kanaan is an Educational Psychologist who provides psychoeducational assessments to children and adolescents. Rudy holds a Bachelor degree in Clinical Psychology and is currently pursuing her Master’s Degree in Educational Psychology at NDU. She is certified in Thetahealing therapy. Rudy enjoys traveling and camping. Maha Riachi is a Psychologist who does counseling sessions. Maha holds a Masters 2 degree in Psychology from the Lebanese University. Maha enjoys reading, dancing, and knitting. Sonia Fares is a Board Certified Behavior Analysts (BCBA) who is responsible for providing Applied Behavior Analysis (ABA) sessions. Sonia holds a Master’s Degree in General Psychology from AUB. She has experience in working with children and adolescents with autism and other developmental disorders, in addition to training and supervising special educators in practicing ABA. Sonia enjoys traveling and skiing. Rima Abboud is a Clinical Psychologist who provides psychoeducational assessments and individual psychotherapy to children and adolescents. Rima holds a Master’s Degree in Clinical Psychology from AUB. She also has a Teaching Diploma in Special Education. Rima has experience in working with children and their families in order to help improve behavior and mental wellbeing. Rima enjoys arts and craft. Rose-Marie Charbetji is a Psychologist who administers psychological tests and supports the ABA program. 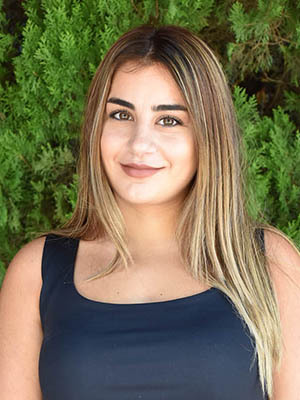 Rose-Marie is currently pursuing her Master’s Degree in Psychology at Haigazian. Rose-Marie enjoys reading and dancing. Mohamad Naamani is a Clinical Psychologist who provides psychoeducational assessments, individual psychotherapy for children and adolescents and parent management trainings. 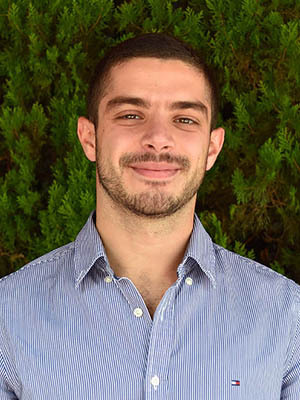 Mohamad holds a Master’s Degree in Clinical Psychology from AUB. Mohammad completed a two-year clinical training program at AUBMC specialized in adolescent and child psychology. He is also certified in administering the Autism Diagnostic Observation Schedule. Mohamad enjoys academic research. Grace Nakhoul is a Psychologist who provides life and social skills sessions and counseling sessions. Grace holds a Master’s Degree in Clinical Psychology at the Lebanese University. She has a training in analytic and systematic approaches. Nathalie Biban is the team leader of the speech and language department who provides therapy sessions, parental guidance, and assessments. Nathalie holds a Bachelor Degree in speech therapy from USJ. Nathalie enjoys swimming and snowboarding. Christelle Maksoud is a Speech Therapist who supports children with speech delays. 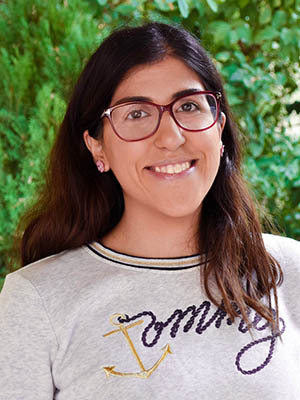 Christelle holds a Bachelor Degree in speech therapy from the Lebanese University. Holds a certificate in music therapy. Christelle enjoys listening to music and playing the piano. Marwa Hasbini is a Speech and Language Pathologist who works with learners with an autism spectrum disorder, learning difficulties, oral language delay or pragmatics problem. Marwa holds a Bachelor Degree in Speech Therapy from the Lebanese University. Marwa is certified in level one of voice therapy. Marwa enjoys dancing, reading and traveling. Ruba Kiwan is a Speech and Language Pathologist who supports children with speech delays. Ruba holds a Bachelor Degree in Speech Therapy from the Lebanese University. Ruba enjoys reading, playing tennis and swimming. Lynn Chaar is a Speech Therapist who supports children with speech delays. Lynn holds a Bachelor Degree in speech therapy from USJ. She also attended the Lidcombe program in Dubai. Lynn enjoys yoga and reading. Sandy Jomaa is a Speech Therapist who works with kids, parents and educators. Sandy holds a Master’s Degree in Speech Therapy from USJ. Joanne Reaidy is a Speech Therapist who supports children with speech delays. Joanne holds a Master’s 1 degree in Speech Therapy from the Lebanese University. Joanne enjoys swimming and listening to music. Serine Damaj is a Speech Therapist who supports children with speech delays. Serine holds a Bachelor Degree in Speech Therapy from Saint Joseph University. Serine enjoys Reading and traveling. Jessica Zougheib is a speech therapist who supports children with speech delays. Jessica holds a Bachelor Degree in speech therapy from Saint Joseph University and is currently pursuing her Master’s degree. Jessica enjoys reading and hiking. Stephanie Dawra is a Speech Therapist who supports children with speech delays. Stephanie holds a Master 1 degree in Speech Therapy from the Lebanese University. Stephanie enjoys Dancing and listening to music. Lama Badawi is a Psychomotor and workshop coordinator who provides assessments and therapy sessions. Lama holds a Master’s Degree in psychomotor therapy from USJ. Lama attended the movement and breathing training at centre lafaurie mondabon in France. Lama enjoys traveling, swimming and reading. Sintia Abou Khalil is a Psychomotor Therapist who supports children to enhance their motor skills and provides assessment sessions. Bathoul Zaiter is Psychomotor Therapist who supports children to enhance their motor skills. Bathoul holds a Master 1 degree in Psychomotor therapy from the Lebanese University. Bathoul enjoys traveling and swimming. Hala Moussa is Psychomotor Therapist who supports children to enhance their motor skills. Hala holds a Master’s Degree in psychomotor therapy from the Lebanese University. Hala enjoys reading, listening to music and crafts. Yara Abi Antoun is a Psychomotor Therapist who supports children to enhance their motor skills. Yara holds a Bachelor Degree in Psychomotor Therapy from USJ. Yara enjoys outdoor activities. Maria Lahoud works as a Special Educator at SKILD center since 2011. She has graduated in 2009 from Odessa Pedagogical University (Ukraine) with a Master’s degree in Psychology and Education. In 2015 she earned her second Master’s degree from Wales University (UK) in theology. Audrey Gibson is a Special Educator and a supervisor for the life and social skills program. Audrey enjoys supporting children develop their English language skills and helping them learn through multi-sensory activities. She has over 24 years of experience working with children in a number of different educational settings both in the UK and here in Lebanon. Audrey enjoys hiking and reading. Yara Nassar is a Special Educator who provides children with one on one educational interventions along with assessments. Yara holds a Bachelor Degree in Special Education and a Master’s degree in Educational Psychology from NDU. Yara enjoys hiking and traveling. Silina Kamal is a Special Educator who teaches Math and French. 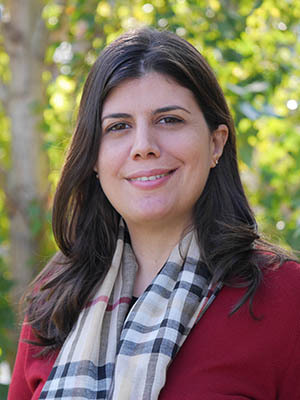 Silina holds a Bachelor degree in Special Education from AKU and a Teaching Diploma from USEK. Silina enjoys reading, dancing, and singing. Aya Bahsoun is a Special Educator who teaches Math and provides ABA sessions. 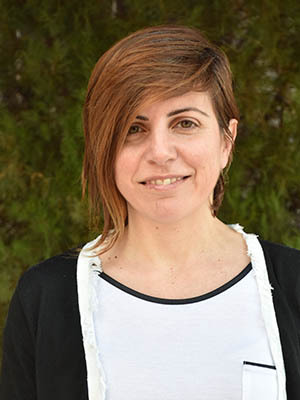 Aya holds a Master’s Degree in Special Education from the Lebanese University. Aya enjoys running and hiking. Maria Manuelian is a Special Educator who teaches English at one of our partner schools. Maria holds a bachelor degree in Psychology from LAU. Maria enjoys playing the piano and listening to music. The heartbeat of our organization is our firm belief in the potential of children with special needs.